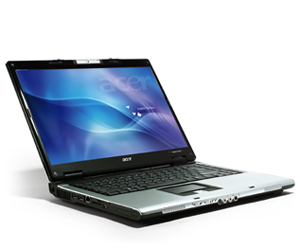 The Acer Aspire 5683WLMi is a stylish-looking, highly portable laptop, with a large amount of memory and hard disk space for the price. Its main strengths are the sharp quality of its 15in screen, and the convenience of its quick-access buttons for launching applications and controlling CD and DVD playback. Add a very appetising price tag and this is quite a deal. 82.25%: This rating should be considered to be average. This is because the proportion of notebooks which have a higher rating is approximately equal to the proportion which have a lower rating.